Time to fill your gaming life with PURE epicness. I’m about to hit you with some of the greatest games that all share aspects of ARK, from dinosaurs to crafting, survival and open world. This selection of games is tight and I know anyone with a love for survival and base building will be falling deep in love with the top titles on this list. I’d also like to give you a guide that I use to get all my games half price, it’s called the cheap game guide, it’s free and awesome. Tip: Under each game there’s a link to our best price finder, it searches 50 + sites and finds the best price for Xbox, PC and PS4 so you don’t have too. 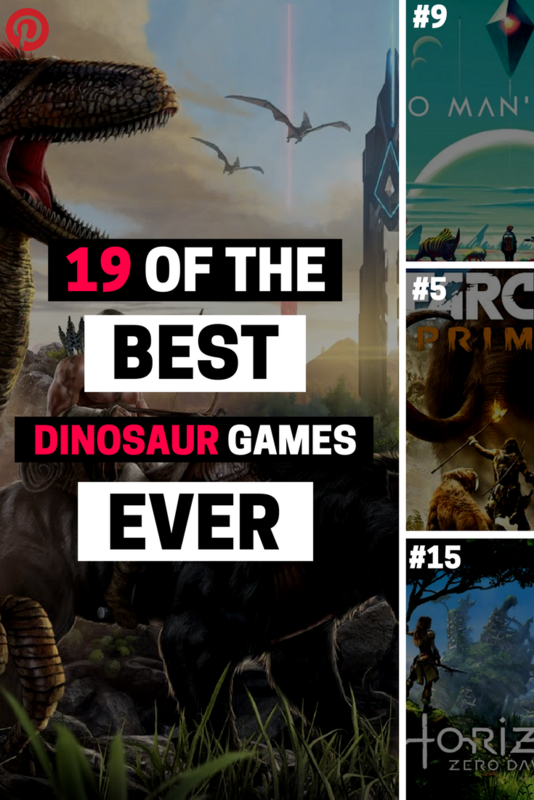 You can also check out my video on the top 12 best dinosaur games. Rust (games like Rust) is more than a game, it’s an experience. It’s a true account of how humans act when there is no rules and that reason alone is a reason to get this game. You start with a rock and a torch, completely naked. You’re in a server with 300 + people, what happens next is up to you. Maybe you build a base with guns, turrets, armor walls and 200 doors or maybe you become a slave to a clan, get put in a death camp or get killed on sight. All I know is rust is one of the best base building games money can buy and it mirrors Arks playing style, making it even better. You can pick up a copy 78% off using this discount link. Not only is this one of the best games to be released in 2017, it’s also one of the best dinosaur games ever created. First, I say dino’s, but I really mean robotic dino’s. Second, this is what I wish Ark was like, as the graphics, gameplay and exploration work exceptionally, it’s just a shame there’s no base building. You can grab this using our best price finder here. Some may say that Far Cry Primal is the ultimate dinosaur game. With a stunning open world, an amazing story and incredibly gripping gameplay you’ll be sucked back into caveman times and get to experience just how powerful mother nature wa back then. Are you ready to enter the stone age and experience the pure savage lands? Evolve is a game that puts 4 humans into an areno with one beast (dino), your job is to kill the dino, the monsters job is to stay alive till it evolves, becoming powerful enough to completely kill your whole time. If you enjoy co-op, multiplayer games then evolve will be just the thing for you. I’ve talked about 7 days to die a ton on this site and that’s because it’s one of the best base creation games around. They playing style is very similar to Ark, the dinosaurs in this are zombies and your job is to build a base, find resources and survive. You have 7 days to do that because every 7 days all the zombies go crazy and the war really begins. You can get a copy for under 10 bucks using our discount link. Want more AWESOME zombie games? Check this article I did on the most awesome zombie games you need to play. The Forest is another game that’s got similar gameplay, graphics, and mechanics as ark. It sadly doesn’t have Dinosaurs, but it does have people eating tribesmen/women who want to eat you, hunt you and imprison you. Your job is to build a base that traps them and protects you while trying to find your kid and get the hell out of there. Most of you will be screaming for more games like this, so if you want more Forest, check out this list of the forest alternatives. Fortress craft captures the pure creativity that Ark has, but with far less grinding needed. In fortress craft you can create a base, fly to space, mine, get resources and be attacked. It’s a great game to play with friends and just down to the fun you can have with fortress craft you should give it a shot. Now DayZ (these games are like dayz) hasn’t had the warmest welcome, in-fact, it’s had a lot of ups and downs, but as a game goes its full open world, looting, grinding and base creation offers an interesting experience. This is really a wildcard for people who enjoy survival. When I first saw No Man’s Sky (No Man’s Sky alternatives) I fell in love, sadly it’s not lived up to the hype. However, I still have hope for this gorgeous looking game. You can explore the universe and see that every planet has a different life form, that includes awesomely scary dinosaurs, plus more monster looking creatures. As I said I’d not pay full price for this game, but I’d definitely give it a shot at 18 dollars, which is the price I’ve found. Work together to survive the devastating dinosaur infested lands, surviving endless hordes in this crazy environment. It’s survival, slaughter, rampage and prehistoric game modes keep it fresh and if you have a few friends you can have a real awesome time trying to survive in this Sci-fi Dinosaur shooter. Pick it up on steam for $0.62. Skyrim (Similar games to Skyrim) made it on this list due to it’s a large open world, it’s awesome dragon slaying and as a Wildcard. I believe that anyone who enjoys the world of ark will be able to take that same love and put it into Skyrim. Maybe I’m wrong, but as someone who loved Ark and then really enjoyed Skyrim I can tell you that both these games have the same pull. I mean dino’s and dragons? Kinda the same thing? 😉 JK. Unleash your inner dinosaur and experience the awesomeness of a game that lets you fight as both human and dinosaur. You can try a team deathmatch or an object-oriented escape mode and with it’s 9 large maps, with open environments and 10 playable classes each with different skill sets, you can get sucked into this game for hours on end. Out of Reach is a survival based game where you get stranded on an island. It’s open world, there’s crafting, mining and fighting. The fighting involves both wild animals and wild humans (meaning the fellow people who play). The game servers are still active and it has a gameplay style that basically mirrors rust and Ark. 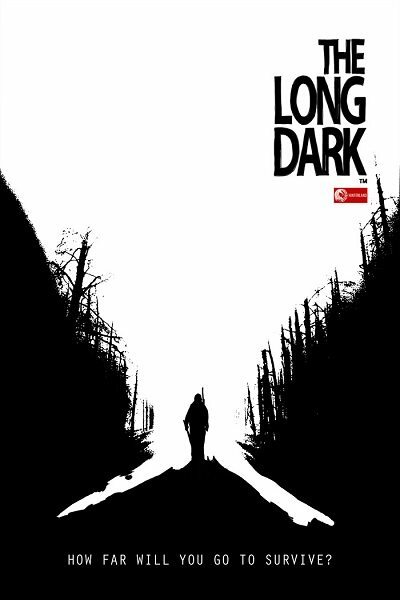 The long dark is a strong, some may say dark adventure game. Enter the world of exploration-survival and experience the many challenges mother nature will through your way as you try to survive. This game has Permadeath and reminds me of a first person, don’t starve, it’ll test your mind and with the 30km open world you’ll have enough exploring and surviving to do for a long time. Hunt, eat, craft and fight for your life as you play this deep survival game. Planet Explorers is a larger scale ARK, with randomly generated maps that are the size of 40x40km and players being able to build whatever they want, it’s easy for creative people to get sucked into. There’s a story mode, that is the meat of this game and it works as a teacher to show you how to build, farm, train and create a colony, there are unique characters and not to forget you can rid dino’s! A plane crashes and leaves you stranded on an island, your job is to hunt, craft, build and most importantly, survive. This beautiful game will have you fishing, scavaging and exploring all in the space of 10 minutes. The current map is around 6.25KM but it’s getting bigger with every update. There’s a dynamic weather system, that adds extra beauty to the game, along with day and night cycle, I mean just wait till you’re out at sea and it’s night and storm happens… It’s scary! Are you ready to become stranded n a radiation filled island? If you are then dive into radiation island and see all the surprises, mysteries and adventures you can have in this awesome game. The only downside to this game is that the developers seem to have stopped releasing updates and that’s a shame because it looked like it was going to turn into a killing game, however, it’s still playable and for $3 you can’t complain! You’re popped on a remote island with 16 other contestants, you then have 25 minutes to explore scavenge and craft a base with traps and weapons. Then all hell breaks lose and it comes down to the last man standing. Survival, multiplayer mayhem is what you’re letting yourself in for when you get the culling. The last game on this list is H1Z1`and it’s another Wildcard, it’s one this list because it shares a lot of similarities with ARK in the way you play, the game mechanics and the crafting. There’s also a survival aspect, that’s really awesome. Now H1Z1 has had mixed reviews and I can say it really depends on the server you enter and the time of day you play. It’s got everything that’s needed for an awesome game, it’s just lacking active game devs that do what the people ask them too. If you want to get on the bandwagon then pick a copy up, it’s only 7 dollars. If you like h1z1 then you’ll love this list of games like h1z1.